Have you ever heard of Colcannon? Colcannon mashed potatoes is considered an Irish potato salad but it more like mashed potatoes with a twist to me. I love how delicious this Colcannon recipe is. I love potatoes. I make them all kinds of ways. I mean, I am Irish after all. While we eat potatoes all the time, when it comes to this time of year, I break out all of my Irish recipes, which of course, means more and more potatoes. One of my favorite potato recipes is Colcannon. 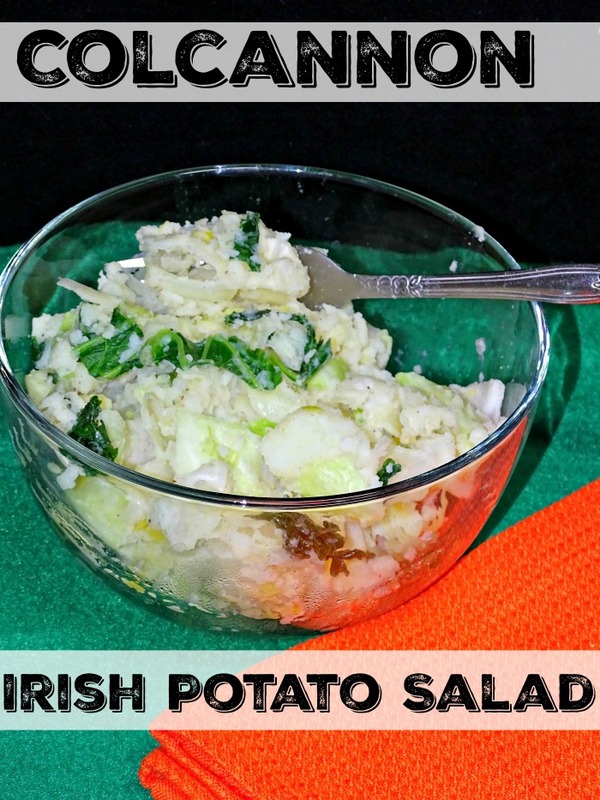 Irish Colcannon is also referred to as Irish Potato Salad. 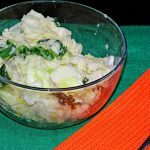 This potato salad adds in a few things that are not found in traditional potato salads like leeks, cabbage and kale. The potatoes in this Irish recipe are also prepared a little different because they are mashed up instead of whole chunks, which is something that my daughter loves. Looking for a recipe for Colcannon? 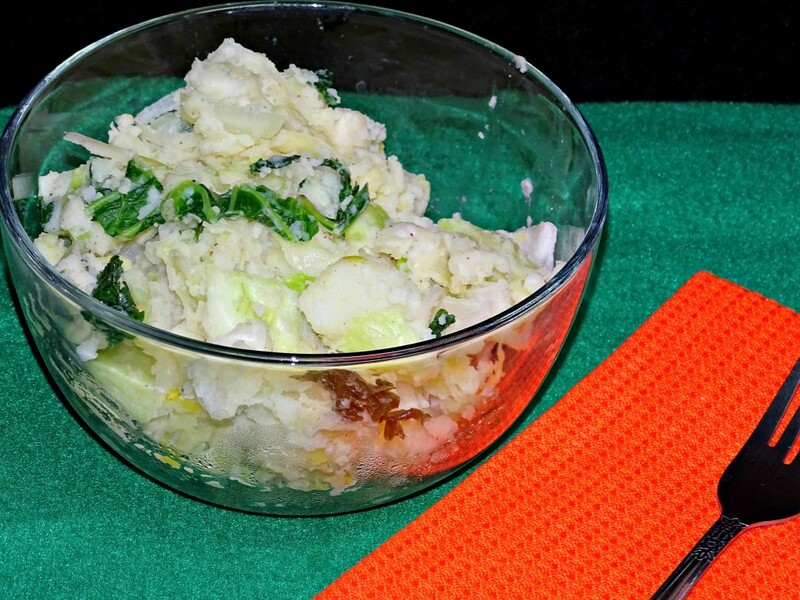 You will love this Irish Colcannon recipe. In a large pot, add enough water to cover potatoes. Peel and cut the potatoes. Boil until tender. Drain out the water. Add the potatoes back to the pot. Mash together with milk, 1/4 cup butter, salt and pepper to taste. You want to leave lumps. You want the potatoes mashed into small pieces, but not like mashed potatoes. Cut up onions and leeks into bite sized pieces. Be sure to wash the leeks thoroughly. The best way to wash the leek is to add it to a bowl of water after it is cut. Swish it around and let the dirt fall out. Remove the leek from the water. In a sauté pan, add in onions and leeks and sauté until soft. Chop the kale. I just run a large knife over it several times in different directions. It cuts down the larger pieces. Add in chopped kale. Cook until wilted but still a nice bright green color. Cut the cabbage down into strips or chucks. About the size you would find in stew. Add the cabbage and cooking until tender-crisp. Grate about 1/4 teaspoon of nutmeg into the pot. Mix together. Once cooked, add the veggies into the pot with the potatoes and mix together.